Updated and fashionable, this framed rectangular mirror creates a stunning focal point for a bathroom or dressing area. Gatco offers this lovely mirror with functionality and beauty. A spacious reflective glass pane with beveled edges rests in a frame crafted from metal and given a sleek satin nickel finish. This framed rectangular mirror delivers a stunning accent to an updated bedroom or living space. 23 1/2" wide x 25" high x 3" deep. Hang weight is 14.35 lbs. 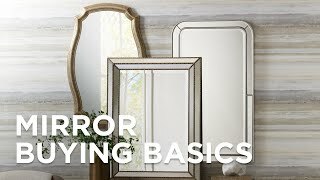 Framed rectangular wall mirror from Bleu collection by Gatco. Satin nickel finish. Metal frame construction. Beveled mirror glass.